British Airways and Virgin Atlantic have come away clutching the majority of awards from a customer satisfaction survey. 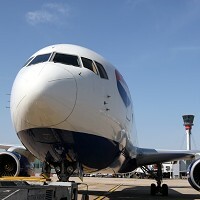 Jetcost.co.uk revealed that BA was voted the most efficient airline and the carrier with the friendliest staff, while Virgin Atlantic won best airline food and was acknowledged to have the most attractive airline staff. The results were based on 1,232 votes cast. Ryanair lost out to easyJet as best value-for-money airline, while Thomson Airways took the most-comfortable airline award. The awards will act as a fillip to the winning companies, as the good reputation of airlines are among the things taken into account when travellers are arranging their next holiday, along with destination and the cost of travel insurance. Jetcost.co.uk co-founder Jerome Cohen-Scali said: "It was surprising to see two supposedly non-budget airlines clinch the top spots, particularly when many know what a tough time they've had over recent years when it comes to flight sales. "It seems that although passengers love to bag themselves a bargain, long-established airlines such as BA are still highly regarded in the minds of the UK flier."